Feel free, to forward our invitation. Before and during the event, you can ask questions interactively on the new digital platform. The organizer reserves the right to modify the program. Event languages are German and English. However, presentation slides will be in English. Our speakers and partners come from industry, service providers and competent authorities. They share with you their relevant experience on medical software. Professionals from medical device industry, healthcare providers, universities and research institutions, competent authorities and service providers that are focused in their daily business on medical software. For us, medical software means software that is either a medical device itself or part of a medical device! Interact with community members and high-profile speakers. There will be enough time for discussions in the accompanying exhibition. Listen to presentations from dedicated speakers. Get informed about the latest developments in regulatory requirements for medical software in the leading markets. 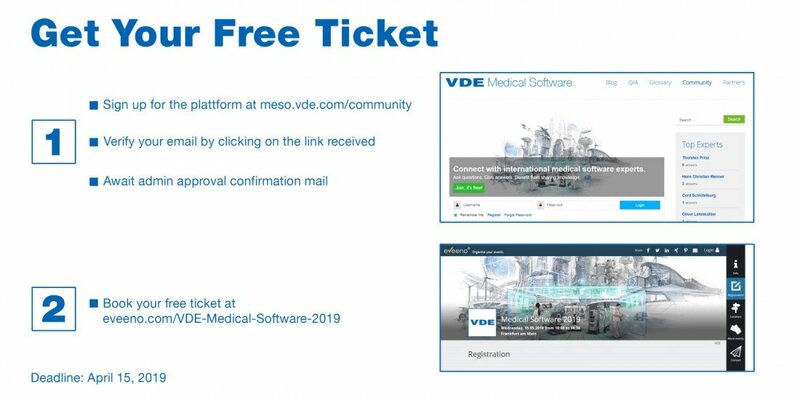 In addition, all participants will receive an exclusive copy of the new VDE Medical Software Whitepaper on the day of the event. Become an exhibitor with exclusive feature package. Generate leads and announce your new products and services. Our event takes place in the heart of Frankfurt/Main, Germany, at the conference center “Haus am Dom”, right next to Frankfurt’s Kaiserdom, the Römer and the “new” Old Town. 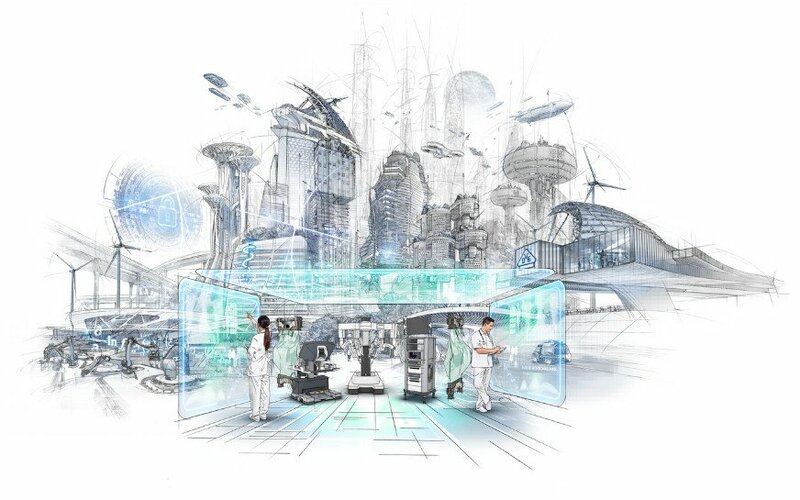 If you are interested in becoming an exhibitor at Medical Software 2019 in Frankfurt, please contact us at meso@vde.com. Further Details can be found in our exhibitor information sheet. Sign up for the VDE Medical Software platform and keep up to date. * This early bird offer is valid up to a number of 200 event participants. Does it make sense to use open source software components for the development of medical devices? What exactly is "Health Data"? How can I become a partner of the VDE Medical Software platform? When will the EUDAMED database be operational? Is there a database or similar for implementing acts?